Based on 35 years successful teaching experience in high performing and challenging schools and using the work of William Glasser this book is a good reminder or an introduction to the key aspects of successful teaching. Presented in a straightforward manner it deals with challenges all teachers will face and recognise. The aim is to cut through the jargon and help in finding easy to implement solutions for promoting learner engagement and enhancing their motivation to learn. There is space to add your own notes and ideas and so it will become a personal document making it very useful during reviews or appraisals or just reflecting on what went well and how to improve your teaching. This book forms the resource for the following CPD course. For more on what is in the course and the benefits for you and your learners please follow the above link. The first part of the book deals with meeting the learners’ needs. Many teachers are familiar with teaching and learning styles and of trying to motivate learners and indeed acknowledging a style is commendable. The key though is in understanding the needs each learner presents as well as our basic needs and meeting these in a way which is neither forced nor coercive. This first section explores what basic needs require fulfilling to create and support the learning environment. Four key areas of need are listed and explored. 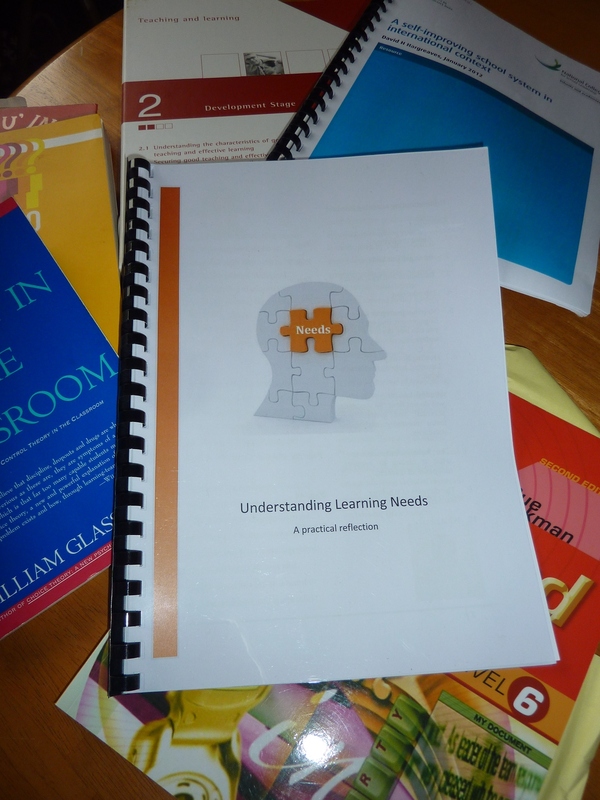 As a person working with learners you will be talked through and given practical examples before being asked to show how you will plan for and how you meet these needs. The second part of the book focuses on the process we are trying to facilitate, that of learning. Learning occurs all of the time and not all of it is either orchestrated or positive. We need to be mindful of this in the way we work with learners and what we say to them. You will be introduced to “Attribution Theory” and guided towards process orientated praise rather than person oriented praise. This section ends with you being put into the position of the learner in order for you to reflect on the emotions and feelings associated with learning. Mindful learning is the topic for the third part of the book. This section considers issues such as phrasing questions in ways that can limit learning and de-motivate the learner or provide opportunities to improve motivation and engagement as well as their self-belief. Seven myths about learning are explored and related to the classroom experience in a mindful way. The section concludes by looking at how to spike a learners’ interest and considers the aspects which effect meeting their needs. The final section is offers advice about learning styles and labeling learners. It reminds us not to jump to conclusions and judge a book by it’s cover. Although this is something all teachers are aware of it is also a rather seductive trap we still need to avoid. Now only available direct from Advocating Creativity. You can request a copy here. Not sure if you want to buy a copy? I know you will when you see what is in this e-book. Priced at just £4.95 it is unlikely to break the bank but if you would like part of the first chapter free then send an e-mail to info@ace-d.co.uk with the word “sample” in the title and I will send you a file the same day.